A Tribute to my Mother. I know for certain that we never lose the people we love, even to death. If you were once connected with someone, does it make sense that the connection is broken just because of a physical death? No, the connection stays. You may just have to listen differently. You may just have to talk differently. The truth is that the connection is never broken. It’s quite impossible to break the most powerful connection in the universe. As long as you exist, the connection stays. Those we love don’t go away; they walk beside us every day. Unseen, unheard, but always near; still loved, still missed and very dear. They continue to participate in every act, thought and decision we make. Their love leaves an indelible imprint in our memories. We find comfort in knowing that our lives have been enriched by having shared their love. 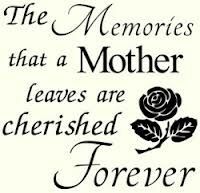 My mother is always in mind; forever in my heart. The life of the dead is placed in the heart of the living. Forever in this heart of mine, an everlasting bond, you’ll stay, until we meet again someday. Saying goodbye to a loved one is the hardest thing to do, more so when such loved one has left this world to join the saints. Though I have no doubt in my mind that my darling mother is now resting comfortably in the Lord’s bosom, I still found it difficult talking about her using past tenses. As she will be committed to mother earth, it’s extremely difficult bringing myself to tell her goodbye because the reality of her demise is still like a distant dream to me. My very adorable ,writing this tribute was also the hardest task I have ever faced in life, for as days went by, I procrastinated, clutching on the non-existing hope that my mother’s death was a long nightmare from which I would soon wake up to see her in good health, embrace her and relate my bad dream to you. As my mother will be laid to rest, the reality of her departure has not only hit me like a thunderbolt, it has also brought to the fore, the poet, John Dryden’s assertion that “All Human Things Are Subject to Decay, When Fate Summons, Monarchs Must Obey”. The import of this is that for every living creature of God, death is the inevitable end of physical human existence on earth. Mother, you indeed had no say in the matter (in your departure) for your creator summoned you and you simply obeyed. Now, how do I begin to describe my mother? Hundred million words will not be enough and a million years will be too short to adequately describe her. But let me just state here that she was extra-ordinary woman, a woman like no other, a mother like no other. She is irreplaceable; no other woman can be her. My mother’s selflessness stood her out. Her strong root in Christ was her trademark. Her equanimity and calmness of spirit in the face of pains and difficulties were my mother’s elegant features. She was hardworking! I used to tell her; “What Christy Aleburu cannot do, Can never be done!”. I am sure if she lived long enough to buy a trailer, she would have driven it herself (at least before getting a driver). It’s sad that my mother left this world when the share portfolio of her dividends has started to grow. We have all despaired at our loss over the past weeks and only the strength of the message she gave us through her years of giving has afforded us the strength to move forward. My mother was a good woman with good heart. She stood for truth and justice even in the face of provocations and this means that genuine goodness is a threat to those at the opposite end of the moral spectrum. I learned so very much from you. Smile would always see me through. And how to be my very best in all I do. Never once stopping to think about you. I will like to end by thanking God for the mercies He has shown us at this dreadful time. Above all, we give thanks for the life of a woman I am so proud to be able to call my mother, the unique, the complex, the extraordinary and irreplaceable gem. Goodbye my idol, good night, my heroin, fare ye well, my sweet mother, Mrs. Christy Edewede Aleburu (nee Otoide). Remember to send our love to grandma. A lot of us miss her terribly, but I know she’s in a better place where she won’t feel any more pain and where she’ll stay forever young. May God give her eternal rest and may her soul rest in peace. Amen. I love you Mom. May your Soul Rest in Peace. ← On The Issue Of Environment And Orientation; Dear Nature, Where Have I Gone Wrong?? Thank you very much Dimplez. May her soul rest peacefully in the bosom of our lord Jesus Christ, I send my condolences for this dreadful event and I express my Joy and Happiness because of the testimonies your about to share! Thank you very much Rotimi. Our consolation is that she died in Christ so there is no need to be sad. Let’s just hope to meet her in heaven at the foot of Jesus. Thank you very much Rotimi. Thank you very much deedarmie. We thank God for a life well spent. Thank you very much. Thank you very much NiyiDaram. I really appreciate it. Above all, HEBREW 9 V 27 ? The End is wot we dont no, but with CHRIST the end is sure for his pple. 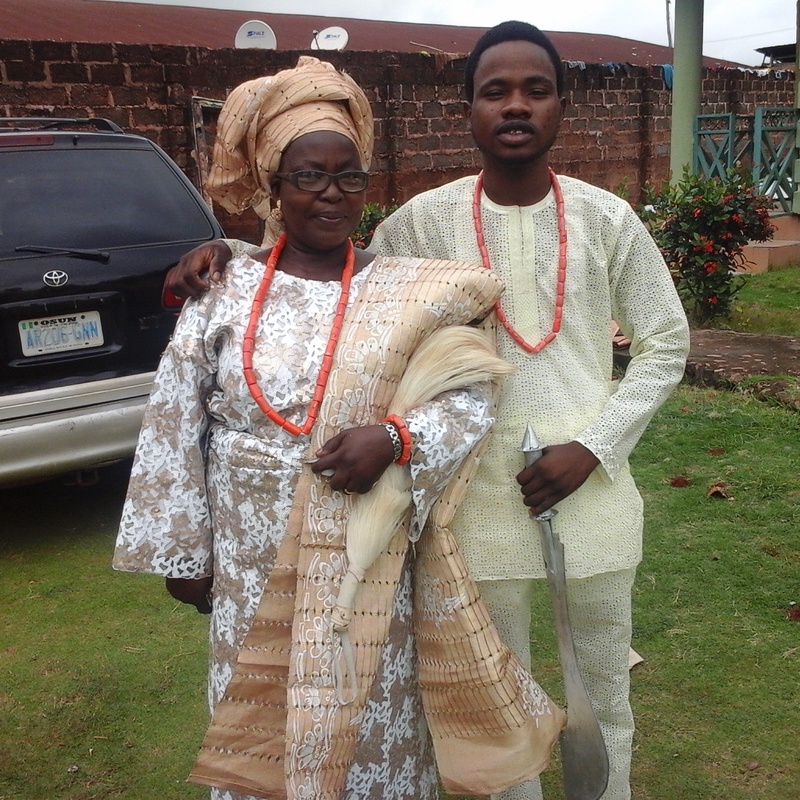 What gives me most courage over ur mum is that, she used her life and time, inside our LORD JESUS CHRIST. Thanks alot David. I really appreciate it. She was a mother to us all. RIP mama OJ. My one personal person OJ, May God give you the fortitude to bear this. Yes She is so irreplaceable. She cared a lot. I remember the days when she would come on visiting days back then in oscco dnt think she missed it. She was a loving person nd hardworking person. Even when I come to the shop I noticed all these, up to driving that big TACOMA herself. God is with you, AMEN . Yea Ope my man. She sure was.. and i do remember those days too.. lol… Thanks alot bro. Sorry about this bro. May her soul rest in the bossom of her God. My thoughts are with you and your family at this period. Please endeavour to be the Man she thought you to be and make her happy. Be strong enough to forge ahead with your life. Thanks alot Dolapo. She sure did. Thank you very much. mehn this is really sumfn hard for we all to bear. not just you bro. buh in all we give thanks cos she died knowing Jesus. wld always see her in church. dragging u along mostly. lol. buh we are happy tho. she lived well. cheer up bro. a lot lies ahead. May her soul rest in perfect peace. Its touching. May be Lord help u through it all. May her soul rest in peace. The Lord will give u strength all through and also to your family. Take heart all will be well. Just hold on firm to the Lord and all will be well. how close you were to her but i pray that you’d get the fortitude to face the reality that she has come down at her bustop. Its well with you bro, just be a man and stand for ur sisters. Hmmmm…. What else can I say? Short of words, may Mama Christy Aleburu’s soul rest in peace. Lots of love bro. Amen Toluwanimi. Thank you very much. Joel, as hard and painful as it is to lose someone you love, I know God will hold and be even more a parent to you . The love you received from her lives on even in your heart and in the people you love. May her soul rest in the everlasting peace and presence of God Almighty. I pray love to you and your family, and I know you’ll get through this even stronger by the grace and love of God. Amen. Thank you very much Morenike. Amen. This is a very moving Tribute. My dear brother, please accept my sincere condolences. I was unaware of what had happened until very recently. I remember your mum very clearly, with her very friendly personality, gentleness and her infectious and lovely smile. I pray for the continued peaceful repose of of her soul. Having recently returned from the interment ceremonies for my Dad, I can, although to a limited extent, relate with what you have experienced, even though the processes of these experiences are different and unique to each individual’s circumstances. But we must continue to take solace and reassurance from the fact that our loved ones who have passed on are in the Bosom of The Lord whom they loved, served and ultimately belong to. We are also confident that the Lord’s Promise regarding The Resurrection is not vain, and there shall be a grand reunion at the end of Time. The legacy of love, devotion, faith, commitment and service, will serve the purpose of rendering our cherished memories enduring and indeed indelible. May The Lord remain your Strength, your Song and your Salvation in Jesus Name. Please extend this message to your sister also (pardon me but her name slips my mind just this moment) who was in the choir at Victory Chapel Osogbo, as well as other members of your family. Secondly, I do know for certain that it’s never going to be the same again. However, I am sure Mum’s loving words will be from Matt 16:33b “Here on earth you will have trails and sorrows. But take heart Joel, because Jesus have OVERCOME the world for you and your siblings”. I must also commend you beautiful words Joel, mum loves them even more. Thank you very much for your beautiful and encouraging words. I really appreciate them. God bless you.